Storm 360, Inc is delighted to announce the launch of STORM FM – Nigeria’s first Record Label operated online radio station. Storm FM will feature latest music from Storm 360 Artists, DJ mixes, artist interviews, behind the scenes audio and exclusive content. 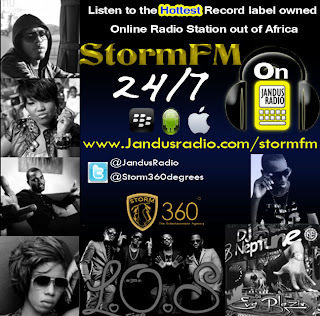 Storm FM will be exclusively available on “Jandus Radio Mobile Application”, the fastest growing mobile application for African Radio. easy and online radio offers the benefit of listening to music with few interruptions. CEO of Strom 360, Obi Asika says, “Storm 360 has always been an innovator and always believed in the power of music. From Naeto C to Dj Neptune, Sasha P to Ms Jaie, our emerging superstars L.O.S and the King of The South, Yung6ix, we have thousands of unheard remixes, songs, and all sorts of mega-mixes. 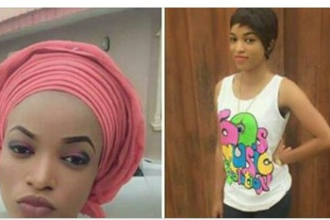 I am personally a believer in technology and I am proud of Ms. Bukola Akinfaderin, a young Nigerian developer who developed the Jandus Radio app. I have it on my mobile devices and wherever I am it feels good to know I can tune in to Storm Fm and you know we are always in the building. Iphone/Ipad through App Store and Android users from Android Market.